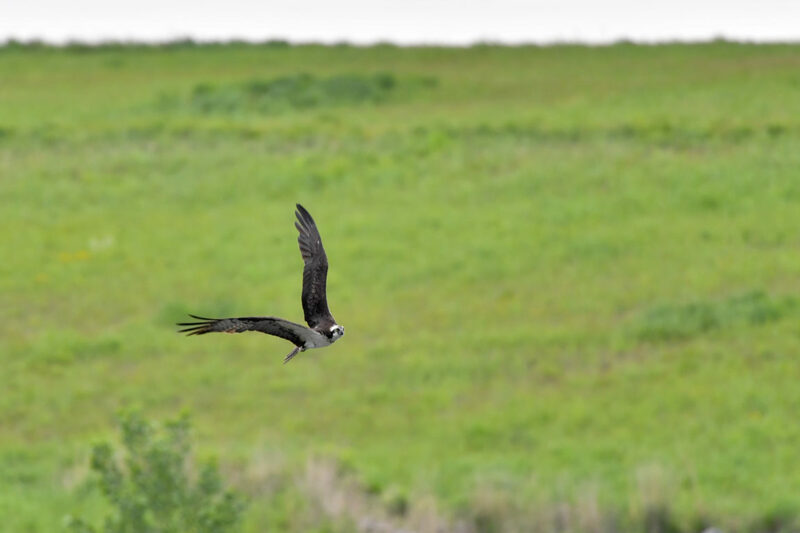 Between April and August, NYC Parks staff monitored six osprey nests at Freshkills Park. The project was part of a citywide initiative to study raptor populations. Two of the six pairs laid eggs, and a total of four ospreys fledged in time for winter migration in September. These nest monitoring results show that the ospreys are thriving after almost disappearing from the region just decades ago. The species had experienced serious population declines due to contamination from DDT. This pesticide was used to control mosquitoes, but its application also introduced biologically harmful chemicals into the environment. For birds like the osprey, DDT inhibited calcium metabolism, which resulted in thinner eggshells. Since DDT was banned in the 1970s, birdwatchers have seen a resurgence of ospreys. 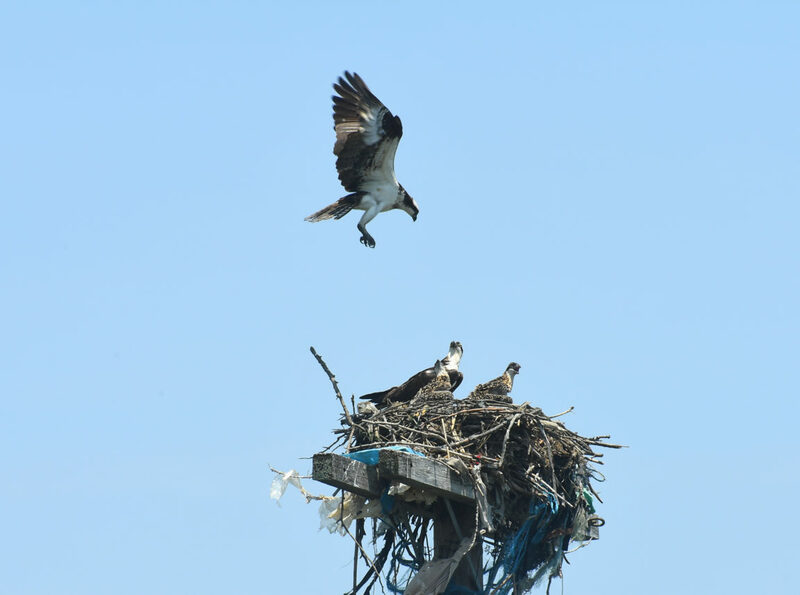 Cliff Hagen, who has been birding on Staten Island for nearly thirty years, remembers when the ospreys began nesting along the waterfront in the late 1990s. “The numbers of ospreys migrating across Staten Island have dramatically increased through recent years,” he said. The Fresh Kills Landfill closed in 2001, and the landfill mounds were capped with layers of soils, geotextiles, and a plastic liner. Since then, the site has undergone an environmental transformation. Changes in habitat have led to a resurgence of wildlife, with a variety of bird species spotted, including many grassland birds.